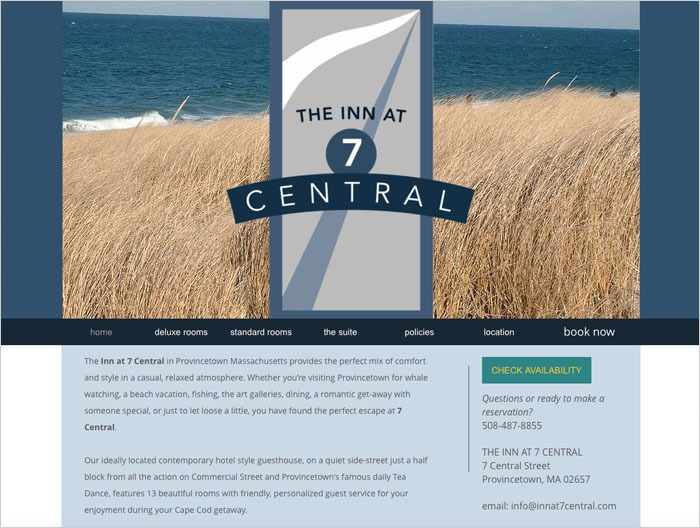 The Inn at 7 Central is a rebranding of a very established bed and breakfast in Provincetown, MA. The new owners wanted a relaxed, upscale, Key West vibe. This was achieved with the sail graphic and muted blues and greys. The logo is used on their website.